The Department of Psychiatry and Neurobehavioral Sciences of the University of Virginia School of Medicine, in partnership with the UVA Office of Telemedicine, offers a comprehensive telepsychiatry program that provides access to excellent mental health care throughout the Commonwealth of Virginia. This successful program providing over 2500 clinical encounters per year can serve as a model for academic teaching hospitals across the nation. Our success is grounded in our excellent faculty and extensive network of more than 85 sites located throughout the Commonwealth of Virginia. The Department of Psychiatry and Neurobehavioral Sciences is a pioneer in tele-mental health services and began providing Adult Psychiatry in 1998 and Child Psychiatry Telemedicine services in 2000. As a result, the UVA Telepsychiatry Program has been at the forefront of telemedicine at UVA and a leading provider of services to adults and children in the Commonwealth, especially those who live in rural underserved regions. Since we initiated services, we have seen more than 8,000 patients in multiple counties and cities in the Commonwealth. In 2009 we began seeing geriatric patients in Appalachian Southwestern Virginia and in 2011 doubled our Adult Telepsychiatry services as well as offered other additional services. Our expanded capacity allows us to now serve over 200 patients per week. Telepsychiatry services are provided from the Telemedicine Offices in the Primary Care Center at the University of Virginia, the Child and Family Psychiatry Clinic at 310 Old Ivy Way, the Adult & Geriatric Psychiatry Clinic at Northridge on Route 250 West, and will soon be offered from the Hospital West Clinic at 1215 Lee Street. Child and Adolescent Psychiatry including diagnostic evaluations and medical management visits. Adult Psychiatry including diagnostic evaluations and follow up therapy and medical management visits. Geriatric Psychiatry including diagnostic evaluations and follow up therapy and medical management visits. Educational sessions for Marriage and Family Therapy. Diagnostic evaluation services for patients considering lap band or gastric bypass surgery. Diagnostic evaluation and follow up therapy visits for patients with encopresis. with suspected neurocognitive effects of other cerebral causes (i.e., stroke, dementia, etc. Sub-contract with clinicians licensed in other states (Maryland, West virginia, etc.) 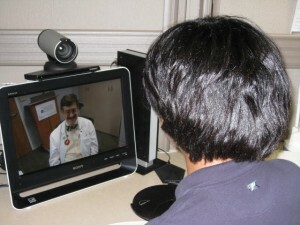 to provide telemedicine services to patients in those states. Partner with health care companies and/or hospitals to provide outpatient clinic appointments, inpatient consultations, and 24/7 Emergency Services. Provide diagnostic and follow up care to Community Service Boards, Prisons, Jails, Third Party Carriers, Hospitals, Federally Qualified Health Clinics, Nursing Homes, Rural Health Clinics, the Department of Defense, and federally funded Government Programs such the PACE program. Physicians in our Department are all board certified and specialize in either adult, child/adolescent, forensic, geriatric, or addiction psychiatry. Our Ph.D., LSCW, LPC, and Nurse Practitioner faculty are certified by their respective agencies. All faculty members are credentialed at the University of Virginia and licensed in Virginia by their respective agencies as well. For additional information on specific faculty members, please visit the Departmental Faculty section of our website. For additional information on our clinical telemedicine and telepsychiatry services, please contact Dr. Larry Merkel (434-924-2241, rlm3u@virginia.edu ). In addition to our outstanding clinical services, we provide an excellent educational and training program in Telepsychiatry for University of Virginia Medical Students, Psychiatry Residents and Fellows, and Psychology Fellows. For additional information on our teaching and training programs, please visit the Residencies and Fellowships section of our website. Each section has contact information listed.